Clinton stood by her husband after he was impeached in late 1998 for lying about his affair with Lewinsky. The former first lady also revealed that she did not think her husband had any reason to resign after his affair with Monica Lewinsky, who was a White House intern at the time. Amid a raging #Metoo storm, the two-decade old episode resurfaced with many questioning whether the power imbalance between a sitting president and an intern made it impossible for the relationship to be considered consensual. 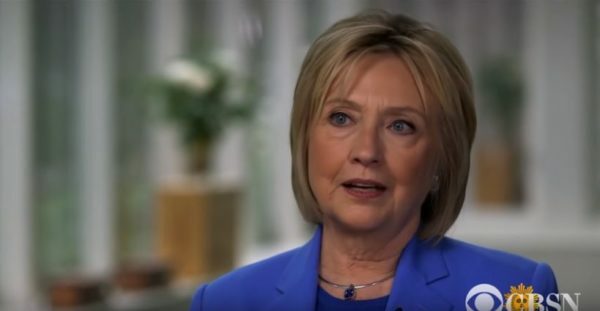 In an interview with CBS Sunday Morning, Hillary Clinton talked about sexism in politics, a subject on which she has a unique inside perspective. "But let me ask you this", Clinton continued, "Where's the investigation of the current incumbent, against whom numerous allegations have been made, and which he dismisses, denies, and ridicules?" "Absolutely not", she replied when asked whether her husband should have resigned. Dokoupil pressed the point, arguing that such an affair can be seen as an abuse of power for the sheer imbalance of said power between the United States president and an intern. Clinton: No role. I take responsibility for my life and my actions. "It bothers me that she tries to be this speaker and embody this person that's empowering women, when all these years you had women that came out and were telling their story about the way they were treated with Clinton". When Dokoupil cited an opinion that a president can not have a consensual relationship with an intern because of a power imbalance that is "too great", the former US Secretary of State pointed out that Lewinsky was an adult at the time. Hillary said that Bill and Lewinsky were both consenting adults at the time of their affair. It comes after Hillary earlier rejected the idea that accusations against her husband were anything like the sexual misconduct allegations against Trump or his new Supreme Court Justice Brett Kavanaugh.